Sterling silver ring with pink topaz. The ring is available in several ring sizes. 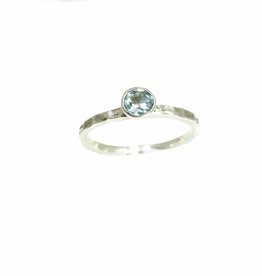 You can beautifully combine the pink topaz ring with our other stackable rings. A mix and match with the blue topaz or peridot by example. 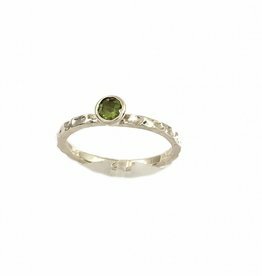 Hammered sterling silver ring with a facetted peridot gemstone. Ring size 53, 55 and 57.